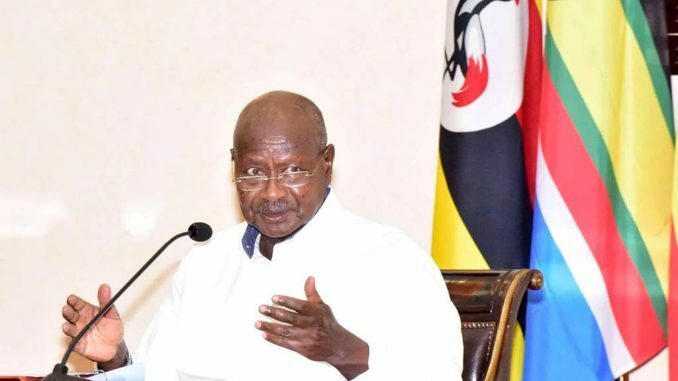 President Yoweri Museveni has issued guidelines to heads of security agencies on managing rioters, terrorists, criminals and looters, plus methods of arresting and handling suspects. Members of Parliament have expressed mixed reactions to President Yoweri Museveni’s latest guidelines on managing rioters and criminals as well as the advice on methods of arresting and handling suspects. In the guidelines, President Museveni called for the use of water cannons, shields and batons as opposed to tear-gas, rubber and live bullets in quelling rioters, saying crowds should always be controlled using non-lethal means. 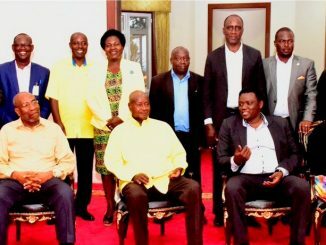 “If, however, the rioters do not stop after the Police use of shields and sticks and, if the water cannons… are not available, then, the Police can use live bullets by first firing in the air; but, if the rioters persist, the Police will fire directly at the rioters to protect the lives and property…,” Museveni said. He also warned against beating suspects, saying that the practice is unfair, unnecessary and gives a bad image to the country adding that criminals are punished by being imprisoned or even hanged if found guilty and sentenced. Museveni also cautioned security personnel against pushing and barking at people who surge forward towards leaders out of enthusiasm, saying that instead, people should only be restrained and advised. The President’s statement came a few days after the brutal arrest of one Yusuf Kawooya, a member of the Uganda Young Democrats. A video of the arrest that went viral showed four men, armed with AK-47 guns, battering Kawooya, until he was bundled into a waiting taxi registration number UAF 325S. Pader District Woman MP Lowila Oketayot welcomes the guidelines saying that the torture of suspects had gone out of hand. IKI IKI County MP Robert Kasolo says the president has guided the security well and cautions Ugandans not to resist arrest if they have documentation to prove that they are not criminals. Busia Municipality MP Geoffrey Macho applauded the president for the strong stand, but hastens to add that as a Fountain of Honor, he has powers to reprimand the security officials if his directive is not heeded to. He says the statement should come with action and not only words. Similarly, Kira Municipality MP Ibrahim Ssemujju Nganda says that the president should arrest the officers involved if the wants to cause change. Otuke Woman MP Sylvia Akello equally says the president needs to act.